. 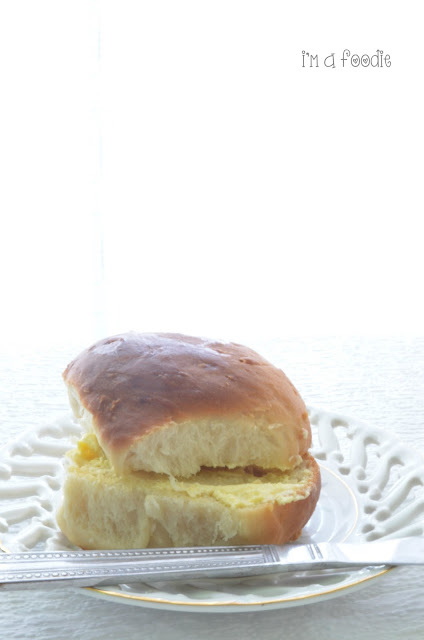 : Soft and scrumptious coconut buns!! 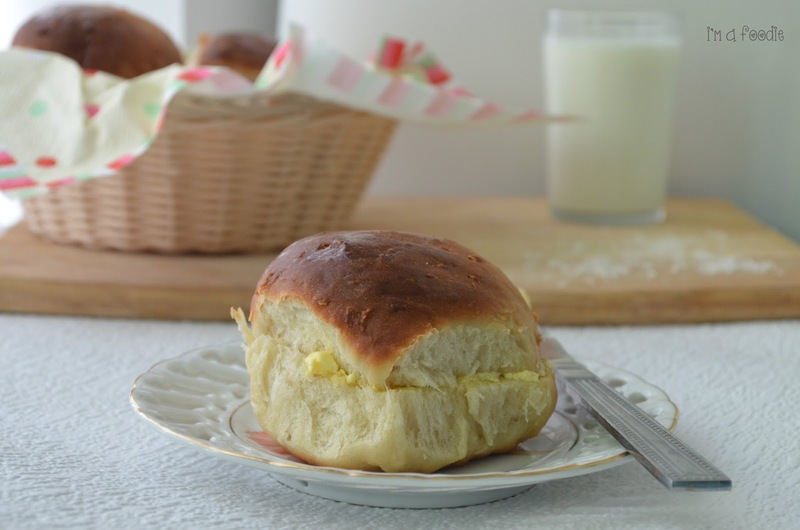 Soft and scrumptious coconut buns!! Well you know how much I love coconut... even my first recipe on the blog was of coconut laddu. I like it in all forms-fresh coconut,dry coconut,coconut water,coconut sweets,coconut in curries almost everything!! But I had no idea that adding coconut to buns would give such an amazing flavour until I tried these.Fresh baked breads have their own charm...the heavenly smell..the soft dough..all this just lifts up your spirits !! This also goes to my entry for Bloggers Buzz Photography Club Assignment 1. Add yeast in a bowl of warm water and let it rest for 5-8 minutes till it activates.In a large bowl add milk powder,sugar,dessicated coconut,flour,beaten egg,salt,melted butter,coconut milk and yeast mixture. Mix well to form a dough and knead for 7-8 minutes till it forms an elastic ball. Cover it with cling film and rest it for about two hours until the dough has doubled in size. Gently press down knead a few minutes and rest for 10 minutes.Divide into small portions and shape into buns. Arrange in a baking pan and brush it with egg wash.Bake it in a preheated oven at 180 for about 20-25 minutes. I promise your home will smell like heaven !! Wow Charu, nice pics and lovely buns. They have come out so soft no.. good recipe! thanks nupur :)...yeah i used bread flour for the first time and could see the difference. I'm terrible with yeast, but one day i will dare to try your buns...btw i like the landscape pic of buns, it hard to make food look good in landscape mode, you have made them look balanced!